Indoor air pollution is rising to alarming levels. In fact, indoor air pollution can be up to 100 times higher than outdoor spaces. According to the World Health Organization (WHO), 92% of the world’s population breathes polluted air (1). This includes things like microorganisms such as bacteria, viruses and fungi, volatile organic compounds that come from paints and furniture, and microscopic particles, including ultrafine particles that are known to cause cardiovascular disease and stroke (2). While most air cleaners do very little to deal with the ultrafine particle epidemic, or harbour bacteria in their filtration system, Intellipure is one company that’s resolved the issues to these problems. The Intellipure Ultrafine 468 is one of the world’s most powerful and energy efficient air cleaners. It is a stand-alone air filtration system that can be moved around to any room in your house. It is surprisingly light weight, but also incredibly sturdy. It comes with wheels on the back, which makes it easy to roll if you have hardwood floors. There is also a handle on the back that you can use if you want to pick it up or move it around. The system comes all set up, so that all you need to do is plug it in once it arrives to your home. The system is sleek and simple (I chose black – but it also comes in white! ), and comes with a user-friendly digital interface where you can pick and choose how low or high you want the machine to run. The lights aren’t too bright, and you can also dim the lights by using “sleep mode” if you’re using the machine in your bedroom while you’re sleeping at night. There is also the option of using the “turbo” setting, where the machine runs the highest and quickly filters out any airborne particles you might not want to be breathing in (personally, I’d use this setting if we were doing any sort of home renovations, or decided to paint the house). My favourite thing about this machine is the Disinfecting Filtration System (DFS) option. This goes above and beyond standard HEPA filtration systems, as DFS filters 40x more efficiently than HEPA filtration standards (down to 0.007 microns to be specific). I should also mention that HEPA filters are much more louder, dense, and use up way more energy than this system could ever dream of using. 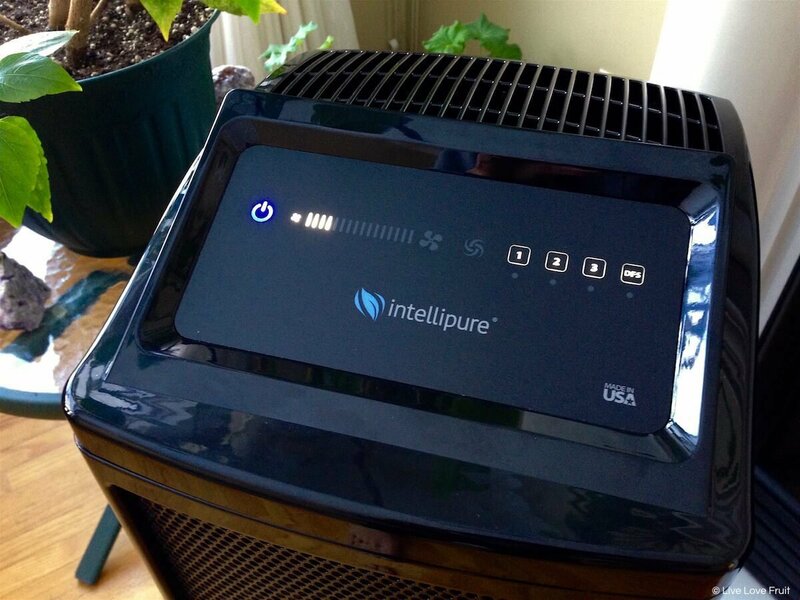 With Intellipure, you get cleaner air, AND you use less energy – it’s a win-win situation for everyone! – First comes the pre-filtration process, where the enhanced VOC pre-filter absorbs any volatile organic compounds that are emitted from paints, furniture, and other harmful chemicals. – Then, the cleanable poly mesh pre-filter captures large particles, such as hair and lint. – Next, the DFS technology kicks into gear, which captures 99.99% harmful viruses, bacteria, fungi, mold and dust mites. With DFS, ultrafine particles pass through a high energy field, where an electrical charge draws the particles closer together so that they’re easier to trap. Also, DFS technology prevents microbial growth in the filter, therefore preventing secondary pollution (HEPA filters do not have this function, so pollutants and microorganisms build up on the filter, and feed off one another, which creates a breeding ground for bacteria and causes more pollution inside your HEPA air cleaner). – Finally, the proprietary blend VOC filter finishes the job. This filter is specially designed to absorb volatile organic compounds, including formaldehyde, benzene and toluenes that come from furniture, chemical cleaners and paints. When on sleep mode, this system only uses 1 watt per hour. Operation at 24/7 costs as low as $1 per month, saving you hundreds of dollars over traditional air cleaners. While the machine retails for $999 US dollars, they do offer financing via PayPal with 0% interest for 6 months. You also need to keep in mind that this is one of the best air filtration systems on the market. 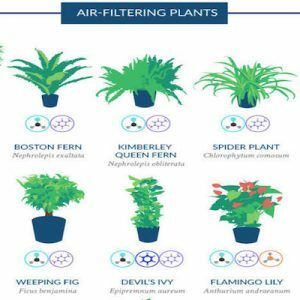 It is the only air purifier on the market that combats all three pollutant categories – micro-organisms, volatile organic compounds (VOCs), and ultrafine particles. One unit can clean the air in a room of up to 750 square feet, and it is 40 times more efficient than standard medical-grade HEPA filters. It is completely made and manufactured in the USA (each unit is assembled by hand, and not mass-produced by machines), and unlike HEPA filters, the Intellipure Ultrafine Series eliminates the smallest, most harmful particles – ultrafine particles. It should also be mentioned that other HEPA air purifiers are priced similarly, when they don’t even offer the same amount of air filtration as the Intellipure Ultrafine Series. While other air purifiers filter out certain particles for allergies and asthma, or odours and smoke, the Intellipure handles all three pollutant categories, including ultrafine particles, which are never mentioned in competitors sites. While the Intellipure is busy removing harmful particles from the air, it is also improving the environment of your home so that you can sleep better, breathe better, and feel better. 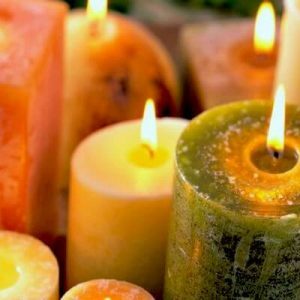 While we may not think much about clean air in our homes, it is vitally important. Dust particles are in fact, quite toxic. Dirt from outdoors, skin cells, pet dander, toxic chemicals, and even pesticides (including DDT) are polluting our homes. A study performed at George Washington University found that most floor dust samples contained over 45 toxic chemicals – that’s a lot! Ultrafine particles are another thing to look out for when filtering the air. Ultrafine particles are known to cause cardiovascular disease, stroke, lung disease and Alzheimer’s disease (3). Studies have found ultrafine particles embedded in the brains of people suffering from Alzheimer’s disease. They’re so small, that they easily travel over the olfactory nerve to the brain as you breathe them in. Ultrafine particles can also embed on the lungs, causing inflammation. Air pollution also has negative effects on fertility. Studies have shown direct links between air pollution and infertility (4), showing that exposure to environmental air pollutants affect reproductive functions and, in particular, produce adverse effects on pregnancy outcomes, fertility and fetal health. Air pollution has also been linked to DNA damage, abnormal sperm morphology, and reduction in sperm performance. 1. Dilute the air when possible. 2. Remove the source of pollution. 3. 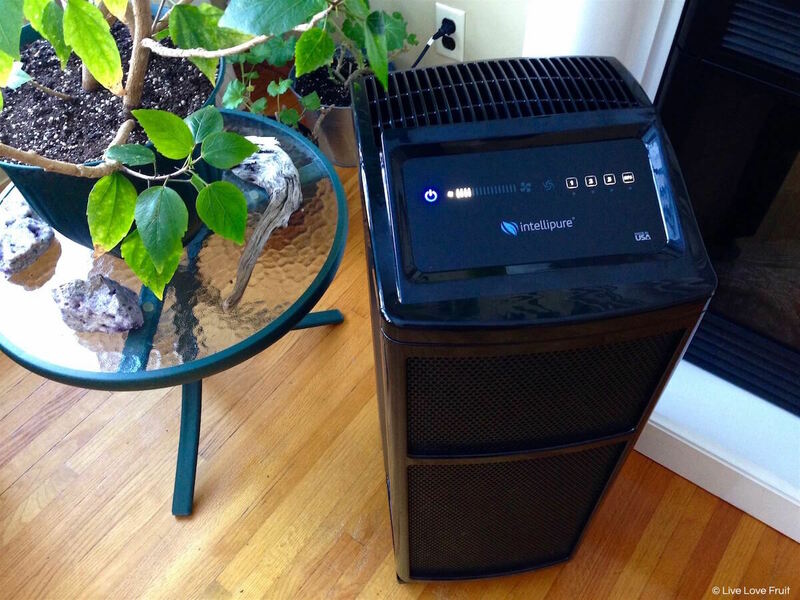 Clean the air with a portable, high-end air purifier. Air purification is not only the government recommendation for combating air pollution, but it is the key to true health and wellness. Just like the water we drink, the air we breathe helps us detoxify and cleanse. The air we breathe can either cleanse us or kill us. I didn’t know what to expect using an air purifier since I’ve never used one before. But because we have two cats, the amount of fur and dander that flies around this house is quite evident (especially when shaking out a blanket or dusting the floors). I decided to give my room a clean and at the same time set the machine to turbo during that time period. I watched in amazement as the machine sucked in all the dust I was stirring up, and continued cleaning. At the end of my cleaning session, I noticed a lot of fur and dust build-up on the outside of the machine filter, so I wiped it away. The machine definitely reduced the amount of dust that was flying around my room, and the rest of the house. Our house is also very old and has a lot of plants (like over 30), so the humidity levels in the house are out of this world. When winter rolls around, the humidity tends to make North-facing walls a little more damp, cold, and humid than we’d like, which has the ability to create mould formations if not kept under control. While we’ve done our best keeping air flowing in these damper areas, it still brought up the concerns of inhaling mould spores (which isn’t great for your health, if you didn’t know). My mind is at ease now that we have the Intellipure, as it helps pick up mould spores instead of them ending up in your lungs. I feel like I can breathe better and not have to worry about what the mould might be doing to my body. When my dad came over to visit for Christmas, I had the machine on the highest setting just below turbo. Because he smokes, whenever he came into the house there would be a residual cigarette smell lurking on his clothes. 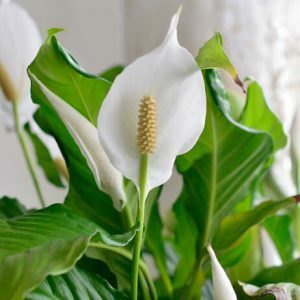 In winter, we can’t open the windows, so instead of feeling like I was suffocating (I am very sensitive to chemicals, and thus, you can imagine how sensitive I am to cigarettes), I turned on the Intellipure and the house smelled better than ever – no lingering cigarette fumes (finally!). Since the Intellipure also doubles as an excellent white noise machine, I’ve started using it while I sleep. 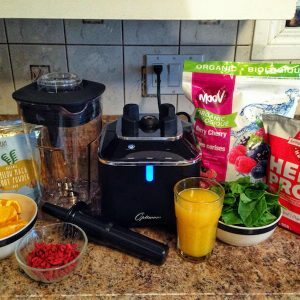 Since I don’t suffer from many allergies, I wake up feeling pretty good in the morning, but this machine helped even more. I felt like I could breathe better during the night and woke up feeling more replenished and well rested overall. 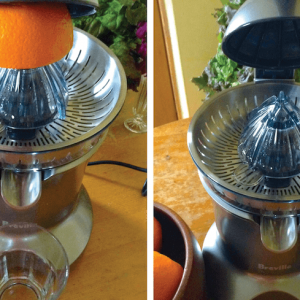 I’ll definitely be swapping out my fan for this machine. Another benefit I noticed was that the machine made the room a little more cool (because of the fresh air it circulates and pumps out). I can only imagine how great this is going to be for when summer rolls around. 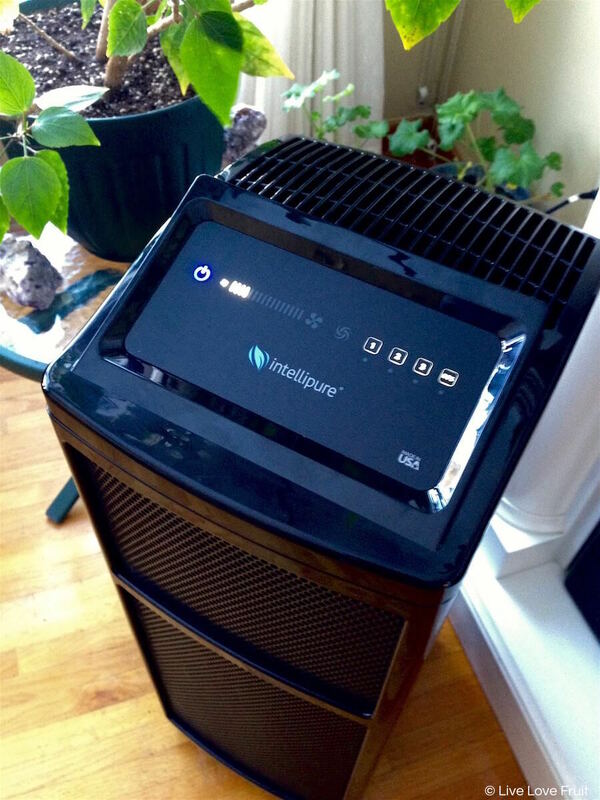 It tends to get very muggy and warm in Winnipeg during the summer, so the Intellipure will help keep the air more well circulated, and also cool down the house at the same time. I don’t suffer from seasonal allergies, but in the spring I tend to sneeze a little more often than I would in winter. I’m curious to see how this machine works during that time of year. Based on all of the reviews I’ve read online, I’m hopeful that I’ll be sneezing a lot less, and enjoying the benefits of cleaner airways a lot more. The least you can do is gift yourself with clean air and water. Wherever you live (unless high altitude), an air purifier is an essential piece of your home if you’re looking for optimal wellbeing. For the first time ever, Intellipure is offering free-shipping to Canada for a limited period of time. Please email [email protected] to place your order and redeem this special offer. Also, mention the coupon code, LiveLoveFruit to receive 10% off your purchase! Click HERE To SHOP Intellipure! Use the code LiveLoveFruit at checkout to receive a 10% discount on any purchase!